Probably the most affordable home in UK, at an age where home ownership for many is a dream. 130sqm Post & Beam Eco House. Granny Annex erected in 3 days near Ben Nevis had a lucky escape. Wild winds overnight brought down a massive tree crushing on its roof. The house withstood the impact, no damage done apart from few ‘bruised’ tiles. 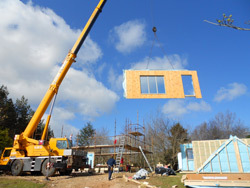 A potential disaster averted and a happy end due to the strength & resilience our Modular construction. 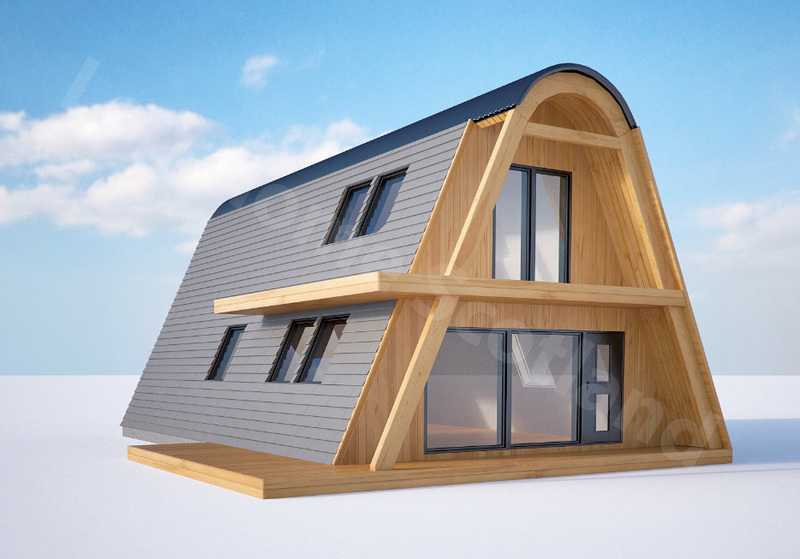 4 bedrooms single storey log house with planning permission for wind turbine. 150mm space for insulation between 2 X 92mm log walls. 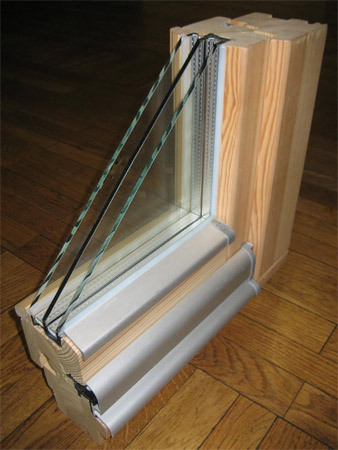 (At 334mm thick insulated double log wall, coupled with our treble glazing, hence lower heating bills). 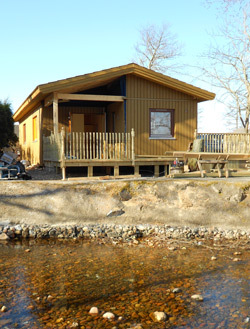 Coming soon, affordable sustainable twin wall, log construction for log houses starting at £ 32,000 from Log Home Scotland. Watch this space for the Eco House. 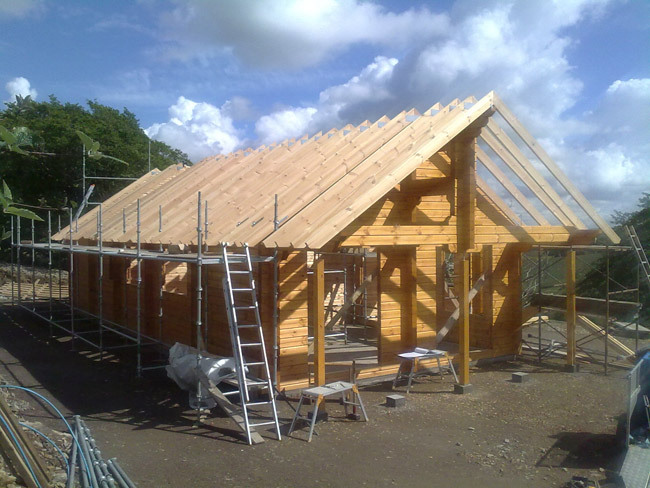 Our Modular timber frame construction allow for 45 degrees roof pitch, almost doubling the floor space for the same overall footprint. Costing on average just 12% extra, compared with single storey house. 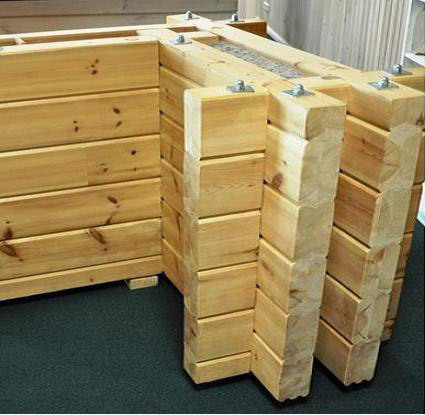 Many choices of exterior timber clad: vertical, horizontal, shiplap, rough or smooth sawn & so forth, at no extra cost. 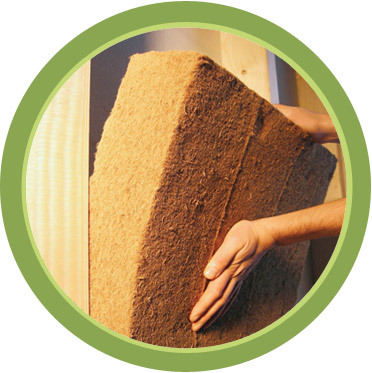 The natural choice of insulation for log houses and Modular timber frame homes. 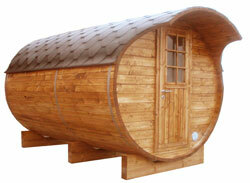 We strongly recommend it (budget permitting) for a sustainable, eco friendly, 99% synthetics free healthy home. 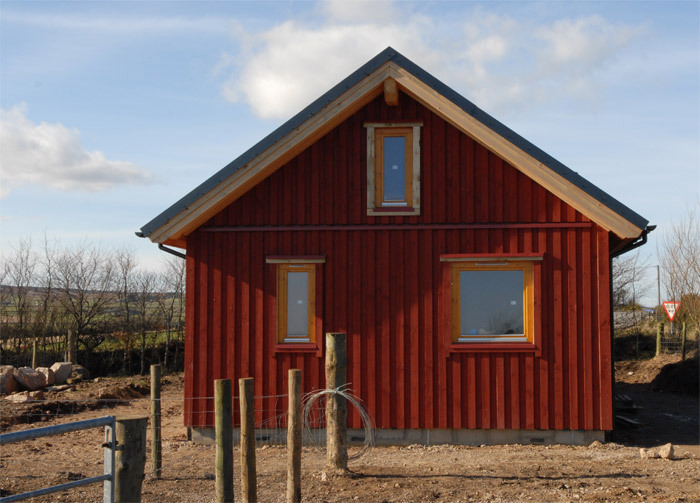 Log homes, log cabins, timber frame modular homes and mobile homes from Log Home Scotland are now supplied with triple glazed windows and doors as standard, at NO extra cost. Making your budget go further, saving more on heating bills, not least the environment.